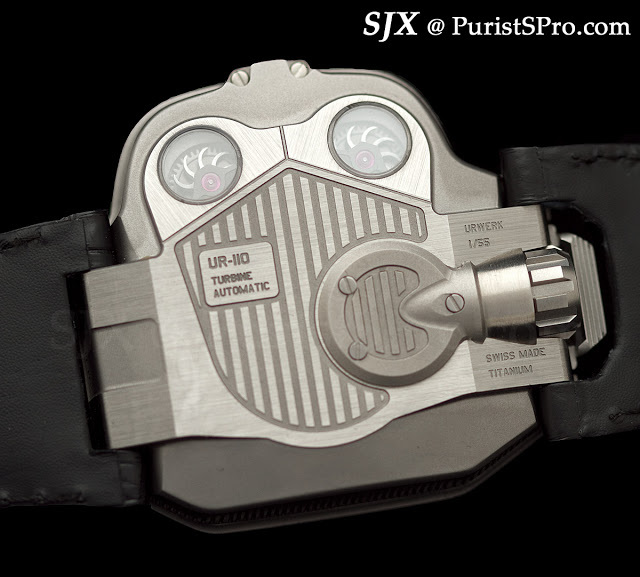 First seen in January 2011 during SIHH, the Urwerk UR-110 Torpedo is the successor to the now famous 103. 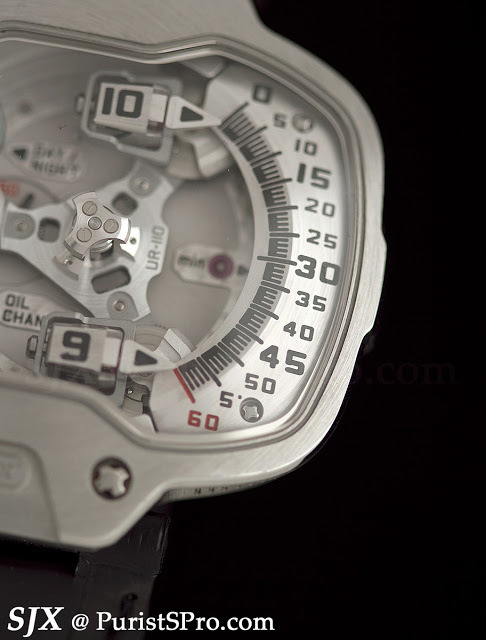 The hours are on rotating cubes while the minutes are indicated by a pointer. 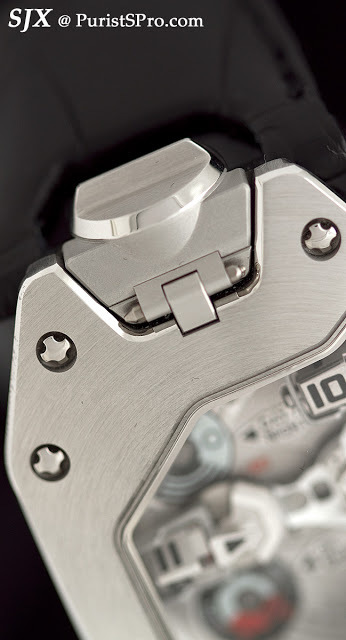 The familial resemblance to the 103 is obvious – three arms holding three satellites with the hour cubes on the 110. On the 103 it was discs with the hours instead of cubes. And on the back it has turbine winding first seen on the 202. 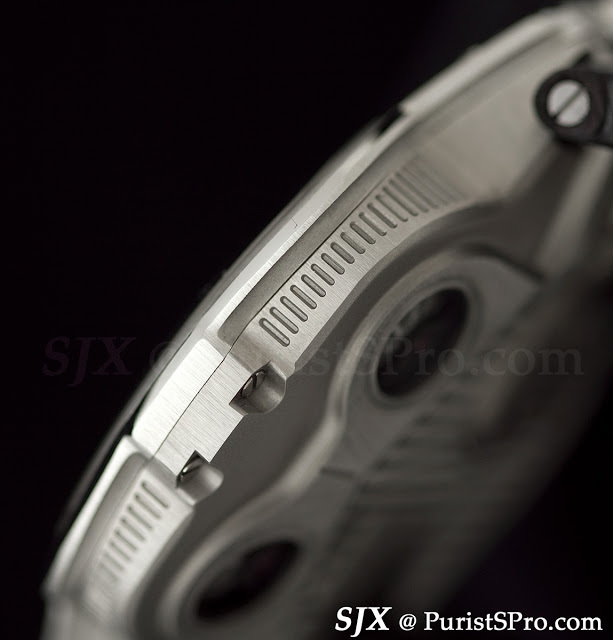 This is a large watch at 47 x 51 mm but relatively slim at 16 mm high. Those dimensions give it an expansive look, which is accentuated by the wide open space in the case where the satellites orbit. 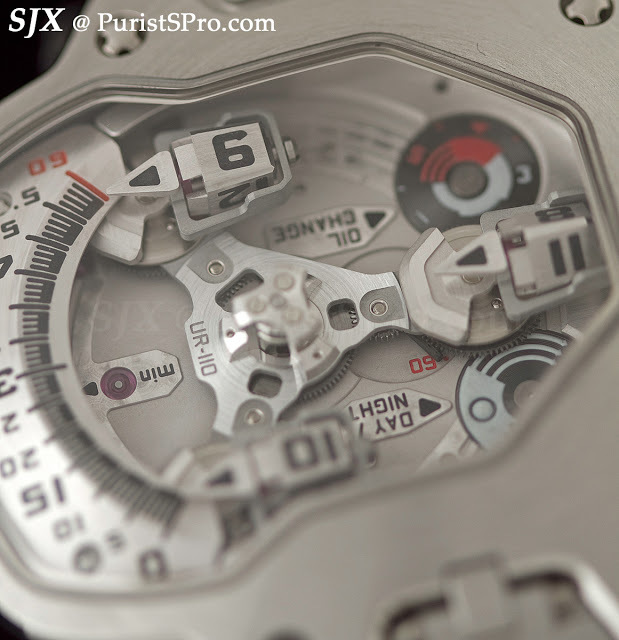 MSRP is approximately CHF80,000. 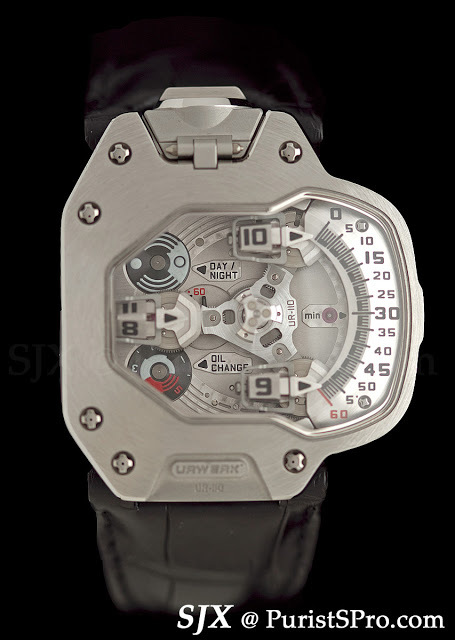 While more than the 103 this is still the entry level model in the Urwerk line-up. The version pictured here is in titanium with a front plate in steel. 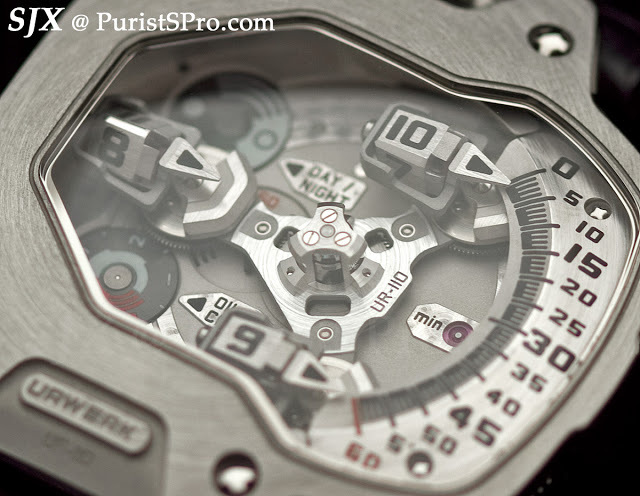 An AlTiN coated version was just launched at Baselworld 2011.